Jac Leirner (Brazil, 1961). blue [Blues], 1990. Plastic bags and polyester foam, 150 x 420 cm (59 1/16 x 165 3/8"). Patricia Phelps de Cisneros Collection. The Patricia Phelps de Cisneros Collection and the Amparo museum I Puebla, in Mexico, present carriers of meaning - contemporary art in Patricia Phelps de Cisneros Collection. An extensive exhibition of contemporary works of art in Latin America Patricia Phelps de Cisneros Collection. 70 artists 16 Latin American countries, among them is Brazilian Jac Leimer. Over 100 artworks in different media, including photo, installation, sculpture, painting, design and video. The exhibition opens in Amparo museum I Puebla, Mexico, in 9 February. 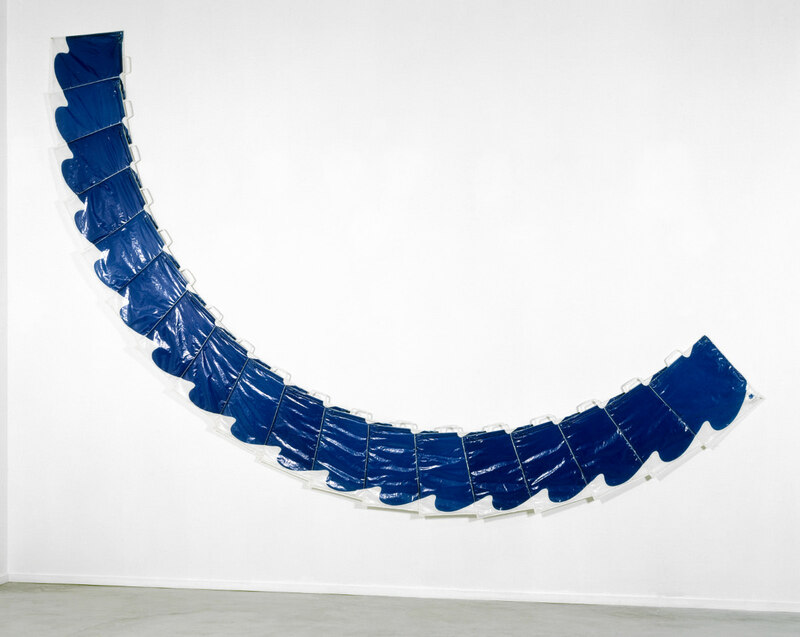 5 February 2019 – The exhibition carriers of meaning - contemporary art in Patricia Phelps de Cisneros Collection gathers 70 artists 16 Latin America and the Caribbean, whose works were acquired by Patricia Phelps de Cisneros Collection (CPPC) between 1990 and 2015. The exhibition was curated by Sofía Hernández Chong Cuy, former curator of contemporary art and director of the CPPC Witte de With Contemporary Art Center Rotterdam, Holland; Sara Meadows is the curatorial assistant of this show. “It is an honor to collaborate with the Museo Amparo in the presentation of this extensive exhibition of contemporary art of the Colección Patricia Phelps de Cisneros in Mexico. The Museo Amparo and SCLC share a commitment to promote contact between contemporary art and a wide audience with an educational focus. I thank the direction and Amparo team for creating this wonderful opportunity to share contemporary art in Latin America with its stakeholders ". Patricia Phelps de Cisneros. “The important mission of the Colección Patricia Phelps de Cisneros to disseminate and promote the appreciation and enjoyment of the artistic expressions of Latin America of its five focus areas – ethnographic objects and works of artists Travelers, through our colonial heritage to achieve modern and contemporary art – between different public, is on course to Museo Amparo, which aims to promote, the study and dissemination of pre-Hispanic art, two vice-reign, beyond Mexico's particularly modern and contemporary and Latin America in general”. Ramiro Martínez Estrada, director Amparo museum. The first group, inserts, with works that take ethnography methodologies and forms, It includes artists such as the painter José Bedia (Cuba), whose work mom kalunga (1992) at first it appears to be a work of geometric abstraction, but carefully observed a small boat which refers to slave ships traveling between Africa and Cuba. Other key works within this group are installing Laura Anderson Barbata (Mexico) Saints and prophets (1995), or video of Juan Manuel Echavarria (Colombia) Mouths of Ash (2003-2004) and Afro Charlie (2010) Jorge Pineda (Dominican Republic). The second group, excursions, which focuses on geography and territory, Cardoso includes Pablo (Ecuador), Elena Damiani (Peru), Juan Carlos Araujo (Venezuela) and Manuela Ribadeneira (Ecuador), among others. This theme includes specifically inspired artists in the traditions of scientific expeditions to his works, as Adrian Balseca (Ecuador), Irene Kopelman (Argentina) and Paul Ramirez Jonas (United States). The urban environment is the subject of interest of the third group artists, specific environments, Consider the impact that has the design of spaces and urban structures on communities. cement paintings of Iosu Aramburu (Peru), the series Highway Folies Pia Camil (Mexico), structures of concrete Federico Herrero (Costa Rica) and a series of photographs of Daniel Santiago Salguero (Colombia) They are within the contributions to this dialogue. The artists of the fourth and final group, mediations, explore the impact of the mass media in society and personal identity. This group includes works such as Aziz photography + Cucher (United States, Peru / Venezuela) Zoe (1995), video Help! by Alejandro Cesarco (Uruguay), (2002), Call Forwarding (2013) by Tania Pérez Córdova (Mexico) and videos of Jessica Lagunas (Guatemala) To see you better (2005), To kiss you better (2003) and For better acariciarte ( 2003), among others. Some of the artists included in the exhibition Carriers of meaning recorded audio capsules in which discuss their work on display. These capsules will be available in the galleries via cell phone through a link that can be found in the certificates of his works, as well as the SCLC site, www.coleccioncisneros.org. A printed guide that includes images of works and textbooks on the works Carriers of meaning will accompany the exhibition and will be available for purchase at Amparo museum. 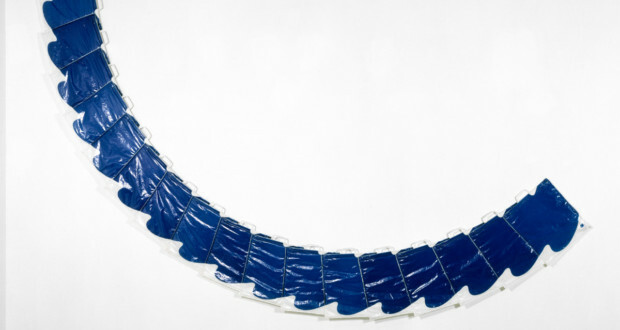 The exhibition Carriers of meaning – Contemporary Art in Patricia Phelps de Cisneros Collection appears on Amparo museum I Puebla, Mexico, from 9 of February to 22 th July 2019. In addition to this cooperation, the Amparo museum You receive two works of Patricia Phelps de Cisneros Collection as part of the international network of museums for which Patricia and Gustavo Cisneros donated works to expand its mission to promote a greater appreciation of diversity, sophistication and variety of Latin American art, particularly with an educational approach. The work Call Forwarding (2013) Mexican artist Tania Pérez Córdova part of the show Carriers of meaning will join the permanent collection of Amparo museum, as well as the work Person Leaning on his Elbow, an extra, (2012), also Pérez Cordoba. Previous: MAR receives presentation of research "Artists and Radical Education in Latin America: years 1960-1970 "